Every company’s goal is to achieve growth over a given period. With growth, the need for expansion in terms of physical presence, as well as operational aspects, becomes inevitable. The business has to adopt new technologies to remain on the upward trajectory. 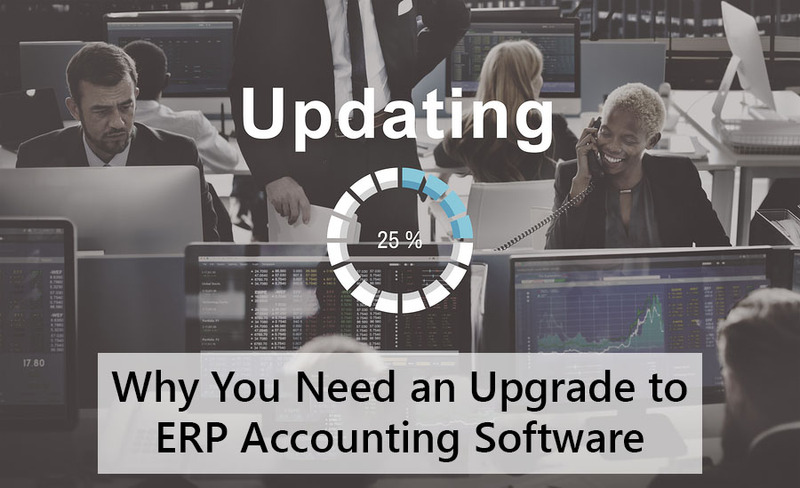 While simple accounting software such as Quickbooks or even a couple of formatted Excel sheets can accomplish all financial matters in the early stages of business, subsequent expansion demands deployment of a more robust Enterprise Resource Planning System (ERP). Outlined are some of the key reasons why this upgrade is necessary. A typical business organization would have a supply chain, sales, financial accounting and human resources department. If all these departments are using different standalone software to conduct business, managing the whole business becomes quite cumbersome. ERP systems provide a single platform accessible by numerous users across various departments or even locations. The management can generate real-time business operational reports from a single point at the click of a button. ERP systems automatically save all business transactions conducted across the whole company. With Microsoft Dynamics ERP products, businesses also get the option for Cloud-based backup on the Microsoft Azure platform. It substantially cuts down or eliminates entirely the need to maintain physical records within the company premises. Cost savings in the form of printing costs, office rental space and workforce required to maintain the record stores are immense. Transactions take much less time in a company using ERP systems. That translates into fewer complaints from delayed customers and overall business efficiency. Get in touch with us now for more details.